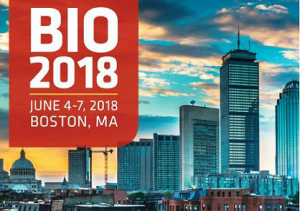 KMT Hepatech, Inc. – PhoenixBio Group will participate in the Business Forum at BIO International Convention in Boston. Dr. Svetlana Sapelnikova (Vice President, BD Strategy) will take part in the prescheduled meetings on June 4-7, 2018 in Boston, MA. Companies or individuals attending BIO One-on-One Partnering can schedule meeting with KMT Hepatech visiting http://convention.bio.org/partner/ (registration required). PhoenixBio group produces the PXB-Mouse®, the world’s most widely used humanized liver chimeric mouse model, for drug discovery and development. With very high replacement of human hepatocytes in the liver, the PXB-Mouse provides clinically relevant data in the fields of HBV/HCV, DMPKS/Safety, oligonucleotide therapeutics and non-viral liver diseases. The translatability of the PXB-Mouse model enables accelerated pre-clinical drug development and reduces the risk of failure at the clinical development stage. The PXB-Mouse is the reliable, cost-effective, next step for your pre-clinical drug development.